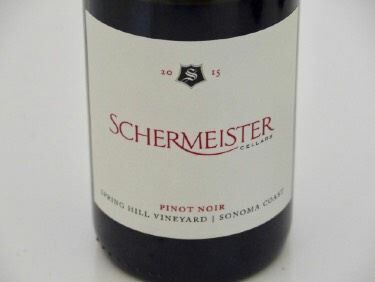 Proprietor and winemaker Robert Schermeister crafts limited production wines from Napa Valley and Sonoma County. All wines are fermented with native wild yeasts found in the vineyard. The focus is on Pinot Noir, but the winery also offers Cabernet Sauvignon, Syrah. Rose and Viognier. Robert developed a passion for wine while in Italy. He decided to put his degree in biochemistry to good use and pursue winemaking. He worked as an assistant winemaker for Mark Aubert and Jayson Pahlmeyer. 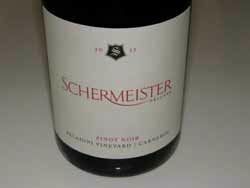 Schermeister Winery was born in 2012.was mentored by Mark Aubert. Wine orders may be placed on the website. Wine Club memebers save up to 20%. A tasting room is located in Glen Ellen. A private tour may be scheduled with the winemaker.